With the new emplemented MatterPak, we now have no longer access to the .OBJ file. That was the only way to calculate the square footage (using the JUMP-ME tool from www.iit3d.com), after Matterport killed @Metroplex360 tool a while ago. Why would you do that Matterport? Why?!! Is there any other way available to double check the total square footage scanned? You know, before Matterport kills that again!? Maybe Matterport could provide the information on total square footage. It should be easy to implement this function into workshop. Many Pros charge per square foot. We were able to calculate everything with 1 click, for the past 2 years+ ... that’s just a big step backwards. If the OBJ was a couple of $$, MAYBE I would consider buying it from time to time. But $49!!? No Way! Don't you have work to do instead of trolling this thread? 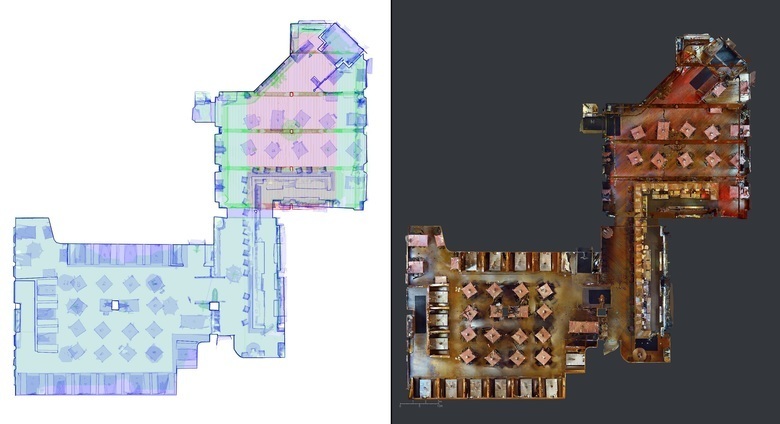 Some CAD programs allow you to size a photo and outline the perimeter of the property and quickly get a square footage per floor. I could imagine that Matterport would re-evaluate their decision, if this discussion continues to give potential new camera buyers second thoughts about investing in the platform. Good example of not creating raving fans: just raving upset customers. I could imagine that Matterport could, at least, grandfather in all Matterport clients as of the date that they announced that they would begin charing for something that was previously free for years with no managing of expectations that they would charge for it. I like that idea the best of every idea I've heard. @ArchimedStudio Thank you for introduce JuMP-ME in the post. JuMP team is always improving our solutions. You will always have your SQFT measured free with JuMP team! @JuMP Wow, thanks a lot! How accurate do you think the new tool is compared to the "old" method using the .OBJ file? I liked having the visual cues showing if some areas were left off (ex: behind a sofa, table, door, etc..). @ArchimedStudio JuMP-ME v1.0 and JuMP-ME v2.0 and the URL fast version are using the same methord to measure the SQFT. So that result is very close to each other. Who can tell that the mesh file that Matterport generated is accurate? How many percentage different between the real house and the result that Matterport got? We can't tell it, neither the Matterport. But we can make sure our tools for measurement is accurate. JuMP-ME v1.0 was released after our confirmation. The SQFT(SQM) result of JuMP-ME v1.0 is accurate enough for OBJ file measurement. We can build a house OBJ file with an known result in 3D software and put it in JuMP-ME v1.0 to compare the result. The default loaded OBJ file when you open JuMP-ME v1.0 page is a Cube with 1.0 sqmeter value. And we can provide you another OBJ file for confirmation. Download it and put it to JuMP-ME v1.0 page and hit "space". You can get the result is 350.36 sqmeter. It is a house like mesh file with the shape of chinese characters means "China-Beijng", we make the "house" 2.5 meters high and the already known volume of this mesh is 874.864 cubic meter. Then we can get the measure of area is 874.864 / 2.5 = 349.9456 sqmeter. JuMP-ME v1.0 result is 0.12% higher than the real value. We think it is enough for the SQFT/SQM measurement for any house. Any one doubt the result is welcome, you can download the file we provided above and use any other more accurate software to measure the result of it. Our conclusion is the different between the result of JuMP-ME v1.0 and the real result is caused by the missing area of the MESH file that Matterport provided. It is not caused by the deviation of measure methord that JuMP-ME v1.0 used. >>>How to improve the result? Using current methord, we can get the result with lots of missing area within the house(black area within the house outline). We noticed the problem and develop our JuMP-ME v2.0 with runtime flooredit function to fill the missing area or remove unwanted area. Below is the result in JuMP-ME v2.0 after we fill all holes of the 1st floor. The result is 2946.73 SQFT compare the 2835.33 SQFT before fill holes. The total SQFT result after we fill all holes in 1st and 2nd floor is 4701 SQFT. Which is 0.21% higher than the "Priv SQFT" value:4691 SQFT that provided by Metroplex360 below. We should add one result here: JuMP-ME v2.0 adjusted result is 4701. Click the "Advanced" at the bottom of toolsbar and click on "FloorEdit" to open the FloorEdit function. JuMP-ME v2.0 is more than measurement. It will generate PDF format report file for your showcase. Here is one PDF report example. Right is color plan that Matterport provided. 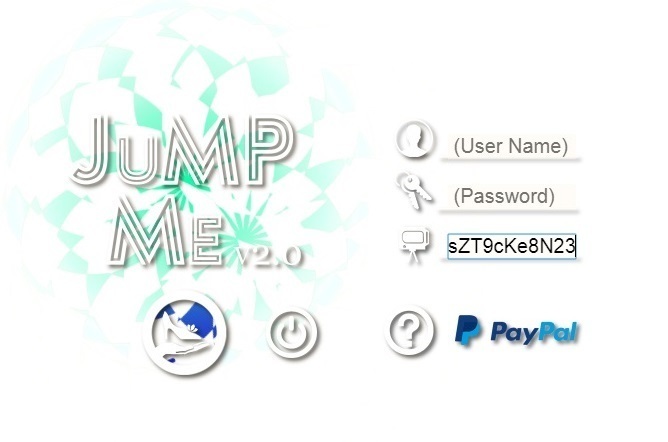 If you want to get full access to JuMP-ME v2.0 please PM JuMP team.